With freelancing becoming more and more popular these days, the number of freelance websites that are on the internet is also on the rise. There is no question to the benefits that freelancing offers you because millions and millions of people are becoming professional freelancers today. As the world grows more tech-savvy, the number of freelancers will also increase. So, you must know what it takes to become the very best out there. The trick is to overcome the challenges of the first few months. If you have not heard about Upwork, then you are completely new to the world of freelancing as this is, without doubt, the most popular freelancing website on the planet. Sometimes, even people other than freelancers and outsourcers know about this website. Upwork first came into existence in 2014 through the merger of Elance and oDesk, other were pretty good websites in their own right. Since its merger, Upwork is now the biggest freelancing and outsourcing website on the planet and is home to a minimum of 10 million registered users from all over the world. With the sheer number of users on the website, the number of clients is also on the rise and it is estimated that around 4 million clients post about 3 million jobs per year. This being said, the competition in the market is also quite high. Upwork is very good and it can offer jobs to any kind of freelancers in the world, from writers to photographer to even architects and legal aides. There is no limit the varieties of jobs that you can find on the market. Both long-term and short-term jobs can be found on the market and you can pitch to a number of jobs per day. Upwork also has a payment verification sign at the bottom of each job to assure you that the client in question will pay you if you complete the job that is posted. All the privacy, payment confirmation, collaboration and easy to communicate features makes it fabulous to work on Upwork. A website for the elite of the elite, Toptal is renowned for its elite class of software developers and digital designers from around the world. The website is especially known for its class and the quality of work that it delivers. If you are a freelancer eager to join Toptal, it might take you more than one try to get in. The website is very choosy about the freelancers that it registers and that is one of the reasons Toptal delivers quality performances. Even Upwork now applies this technique where it allows only the qualified ones to enter the family. It is said that Toptal’s screening process weeds out all the candidates that apply for a position there and allows the best 3% to become a member of the family. If you are an outsourcer in search of a good website, then Toptal is for you. However, the website also screens clients, though not that harshly. Top companies like Hewlett-Packard, Airbnb, JP Morgan, all have connections to Toptal. So, you can imagine how good the website actually is. 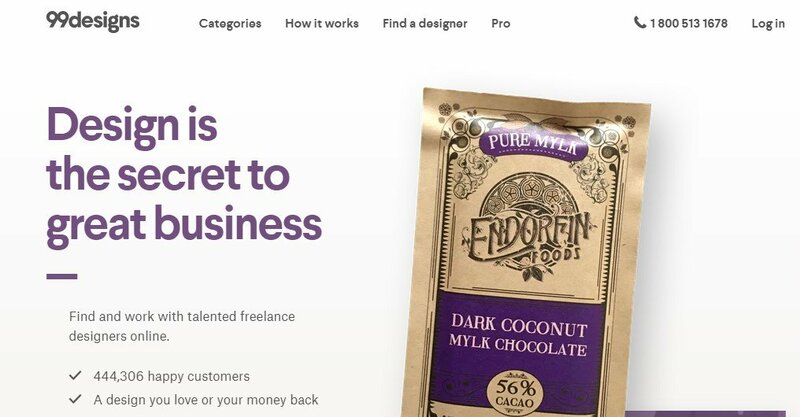 As the name says, this is the website that comes to find when most people thinks about freelancing websites, and why wouldn’t it when the name itself is ‘Freelancer’. What sets Freelancer apart from most other websites is that Freelancer allows you to actually compete against other freelancers of your niche and bring out a winner. So, this website is especially good if you are a competitive person and are exceptionally skilled. Prove that you are the best in the easiest way possible (through competition), and you never have to worry about getting a job ever. Although Craigslist does not offer you the privacy, payment security as other websites do, and most people would tell you not to take Craigslist as a freelancing website, it is disagreeable to quite some extent. The number of jobs on Craigslist, both local and international is quite high, and with competition not as hard as the rest of the competitive sites, you can get a job there quite easier than the rest of the sites on the list. Being a freelance writer is one of the most common freelancing niche on the market and “Freelance Writing Gigs” is one of the best out there for freelance writing. Its job board is daily updated with numerous jobs and you can find fresh freelance topics every day. The jobs may vary from content writing to technical writing to recipes to many more. However, the website is not limited to just the literature and content typewriting as you can find jobs posted for photography and even programming. In short, there is always something that you can find for a job. This is definitely a must check for any freelancer out there. This website has the largest variety of work than any other website on the list, even the all famous Upwork. So, you can imagine the number of jobs that are available on its board. It is also easier to get a job there than most of the websites on the list. However, unlike most websites, Simply hired can only be used by people of about 24 countries in total. But, the good thing is that SimplyHired can offer you jobs on other 12 languages than English. LinkedIn is the largest business-oriented social website on the planet with over 400 million users on the LinkedIn website alone. This website is definitely the main place to go if you are willing to make a name as a freelancer. This website is for people with all skills related to SEO, programming, marketers, web project management. As the name says, you get paid by the hour here and there is also a payment confirmation process. The special feature of this site which is called WorkStream, simplifies all the essential part of freelancing, like payment confirmation, communication, and management all in one place and you can get jobs, see notifications and send up to 15 jobs in total. However, the website does require you to have a premium plan in case you want to get more jobs. This website is like any other freelancing website that you can find. The market is quite rich with writes, software developer and many more. However, what is most amazing about this website is the fact that you get to keep 100% of all your earning. None of the websites above has such unique luxury available to it. But, there are drawbacks as with such good side comes the bad side. You do not get the luxury of payment verifications. This is a unique kind of platform but never-the-less is quite good. What sets this website apart from all the others on the list is that Fiverr allows its freelancers to create their own jobs. Each freelancer displays their skill on the market to potential clients and they, in turn, offer jobs to the freelancers. Each job/project starts from a minimum of $5 but you can increase it as per your wishes. If you are a student, then you would be drowned in competition in the top websites on the list, but in College Recruiter, you can choose the perfect job for your liking. Students and fresh graduates from all over the world find their starting jobs from here and if you are lucky enough, companies can even recruit you as their own. This website is a must check for all the students and fresh graduates out there in the market. There are many varieties of jobs displayed here and you do not need to worry about not finding one that complements your abilities. Aquent is a good place for digital marketers and creative professionals, the website allows it freelancers to work on-site or remotely, depending on the job they want. A unique feature of this website is the fact that you have numerous online courses to help you with the training you need to hone your skills and make yourself a good freelancer as any out there in the market pool. This is a relatively new website on the list but one of the better ones out of the hundreds of sites on the internet. This is one of the “for-everyone” project markets that everyone talks about. There are a lot of jobs posted on the website and one unique feature that WorkMarket has to offer is that the business has its own mobile app. This allows you to communicate with your clients or partners very efficiently and you can also confirm payment at the end of the project so that you do not need to deal with slow-paying clients that usually ruin the job market. This website is quite small compared to the rest of the websites on the list. However, ILoveCreatives has its own way of competing. The website will require you to pay a $40 application fee and there is a long application of creatives before they are accepted into the platform. However, the unique thing about this website is that 100% of those applicants are accepted into the ILoveCreative teams if they are willing to work through a tough vetting process. If you are a designer looking to do some freelance works, then this is the go-to place for you. Like Freelancer, 99Designs allows you to compete against other designer and for that exact reason, you get to have many jobs under your belt considering you are actually good designing. If you are a newcomer in the world of business and are in need of a programmer or maybe a writer, then this is the place to go. The website offers a lot of small projects that part-time freelancers thrive in. This is also the reason why small businesses put up jobs here as it is relatively cheaper to get your work done than other on other websites. What is unique about this website is the fact that it compiles data from job opportunities from all over the world and brings them to you. Therefore, with low competition, it will be easy for you to get a job of your liking. Most people say that Guru is the place to go if you think that the 20% payment cut that Upwork charges are too much for you. Like the top websites on this list, Guru allows you to have access to more than one million freelancers at fixed prices while also allowing freelancers to hourly paid jobs. Unlike most websites, Flexjobs require you to actually pay a subscription fee just to check the jobs that are listed on its board. But what you do get out of it is that there are no low-bidders like in Upwork where you can practically set any rate you want. Therefore, there are many quality jobs on its market. There is not a fixed subscription rate for the website as you can go from monthly to a yearly subscription fee. Flexjobs’ search engine is actually better than most of the engines in the list. As the name suggests, the website is built to take out all the lengthy process that takes place before a job is confirmed. The website offers clients a discrete service by providing predetermined rates, that way there is no negotiation involved in the confirmation process. Another thing that you have to note is that Speedlancer requires the freelancer to do the required task in a span of few hours. FreeeUp is an up and upcoming digital endowment platform for freelancers that has spawned prodigious reviews. FreeeUp is the only platform for freelancers that offers an employee referral platform that the Grade A employees can mention their friends and family and get paid for the hours those workers bill to clients. Keep an eye out for FreeeUp to turn out to be a foremost competitor in the industry. Have you ever imagined that there are so many markets out there on the internet? You would be even more surprised (is you were surprised before) to know that there are over 100 freelancing websites on the internet and these are some of the best out there you can find. So, go out there, search for the ones that fit your requirement and know that you will not be disappointed. In present participle, form freelance is known as freelancing. One who does freelancing is known to be a freelancer, to be more specific a person who is being self-employed. This might seem a little awkward or it may not. In this job sector, you are free to do your work, choose your type of job you would like to do as no one will come in your way. There is no fixed monthly salary, and moreover, there is no guarantee of getting jobs at regular interval. At first, choose a niche if you are an abecedarian in the freelancing field. Anyone new at first should build up a strong mindset on not giving up a patient is one of the critical factors in this sector. Grabbing any paid work will be wise for a newcomer as people generally tend to treat experienced freelancer better and to be more reliable. Grater experience creates a better scope for finding jobs. Naturally, a freelancer with higher experience can earn more than an amateur. Because an expert freelancer can understand Client query, which makes him more efficient. Try to decide at first what sort of services you would like to provide your clients start working on those polish your skill as much you can. Clients love neat and clean work. These are few there is lot more option you can choose from but try to select such a skill that you understand well, which goes with your passion. This will make your job a little more comfortable and less tedious. Describing your expertise to clients are important. As based on that your clients will decide if they would like you to do their job. You have to prove yourself eligible in their eyes. A freelancer must know how to behave nicely to their clients. It may not seem to be a great deal for few, but it is as you are being paid by them so they can make you work until they are satisfied you have to provide your customer the best possible service. To start working you need skills if it is absent, you are ought to learn them or else what service you will be providing your clients. You will have full freedom of choosing your plan and which you don’t want to do you can deny without any a headache. You are the boss of yourself no one will forcefully offer you jobs. So you have to complete your tasks with self-motivation. You must choose your job carefully and n.
As you will be working freely and independently, you have to answer no one for taking a short vacation or taking your family out. Your son would be less pissed at you because you will be able to attend his school program and support him on his work which would have been a lot tougher for you if you wanted a leave from your office. Your life will become less annoying as you can earn a right amount of money and as well enjoy the real taste of life. This career is Efficient as you can earn a handsome amount just by utilizing your free time if you are a non- professional freelancer. There are still demands for good freelancer and clients, in general, are hiring based on the hour. These means their pay is based on hour where an employer gets paid monthly. Jobs are available at high rates. So this means more possibilities for getting a job. There no guarantee of getting a job just after you finished one. This sometimes becomes irritating this may make your freelancer life difficult. Something depends on luck as your dealing with your client if he gets annoyed or he thinks the work you are presenting are not up to the mark he won’t look back a second time for replacing you. To keep your job rolling, you must fix some clients who will deal permanently. What is Freelance SEO and How Much Can be Earned from it? Should You Hire a Digital Marketing Agency to Run your Business Online? The Difference Between Freelancing and Entrepreneurship – Why the latter is better? © 2013-2019, Advance IT Center.